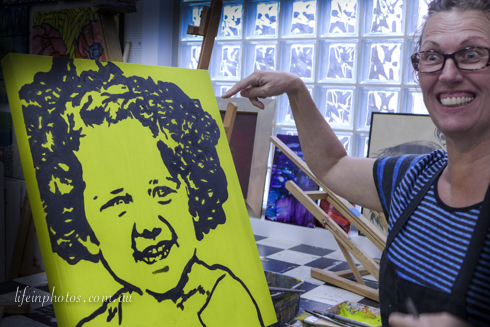 Ever thought about creating yourself a Pop Art Masterpiece in one day on canvas, complete and ready for your wall, or, how about tearing yourself up in a creative environment where you can take out your frustrations with paper and print to make something so 'absolutely fabulous' you never thought possible. If this sounds like your kind of fun, then you need to check out all the creative offerings happening in ART 101's authentic studio playground. 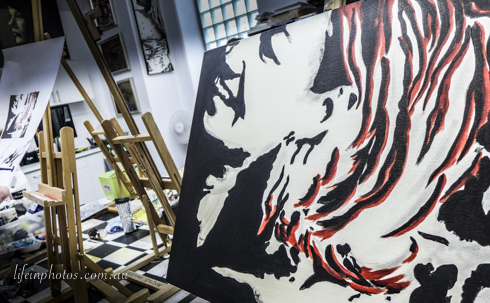 Mel Howard (director) and her team of artists, are simply superb and expert tutors. And if you do like the idea of 'tearing yourself up', you can take on the 'Tear It Up' creative challenge during the upcoming workshop on Sunday 6th of April. 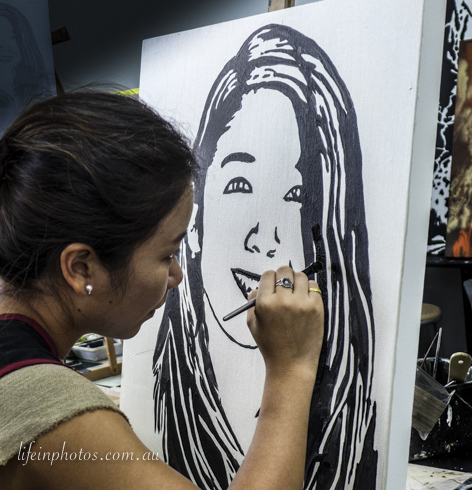 Art 101 learning studio is perfect for beginners and provides you with a very relaxed, informal and non intimidating creating experience. You get your own artistic license, however, with direction and as much guidance as you need. Imagine what you could do in a class called Alcholic Ink painting workshop, Floral Spray, Landscapes in Oils, or Abstracts. 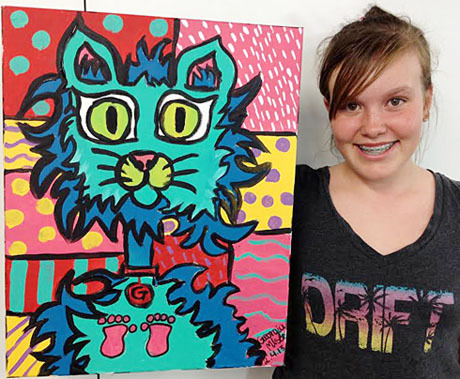 The Pop Art workshop I recently attended, was so much fun and one of the bi-monthly regular Sunday workshops. As one of the 'favourites', this workshop is set be scheduled from time to time, so look out for the next one. You'll experience creating with simplicity, bright colours, stencils (provided if you wish), choice of background design, (or plain). "Wow" you will most certainly 'pop' out on your very own canvas at the end. Look out for the glamour selfie/pin up, pop art, self portrait session, in the future which is usually offered once a year. ART 101 almost has it all. Mel and her team run day workshops, short courses as well as weekly courses for beginners painting and drawing All are different and allow you to choose the type of medium you wish to work with. Workshops themes are repeated from time to time, along with the introduction of new ideas and endless themes. Try your first one, be careful, you might get you hooked and come back for more. Small, groups with limited spaces (usually 8), ensures a personal touch and one-on-one support so that you can feel confident and comfortable on your creative journey. The studio also offers a fabulous 'school holiday program for children. Children's workshops including things like.....parrot party, magical dragons, peewee picasso, seascaps and more. Kids Studio information can be found here. Art 101 is more than a learning studio. 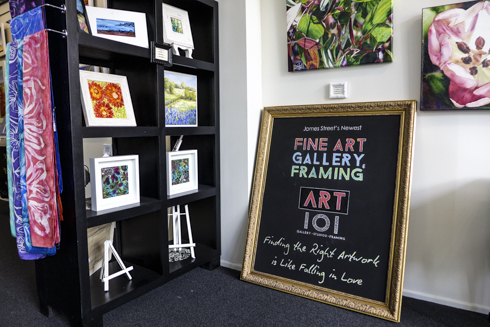 It is an Art Gallery and it also provides custom fine art framing and consultation to ensure your art is best presented. 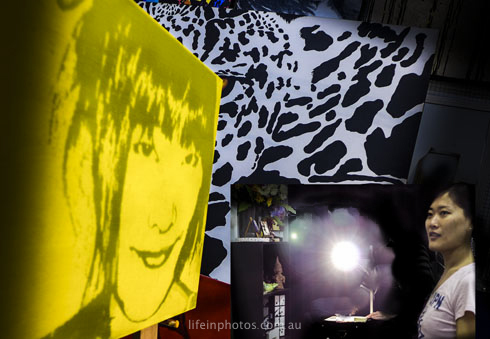 Their artists are also available for a variety of commissioned work - corporate installations to family portraits. 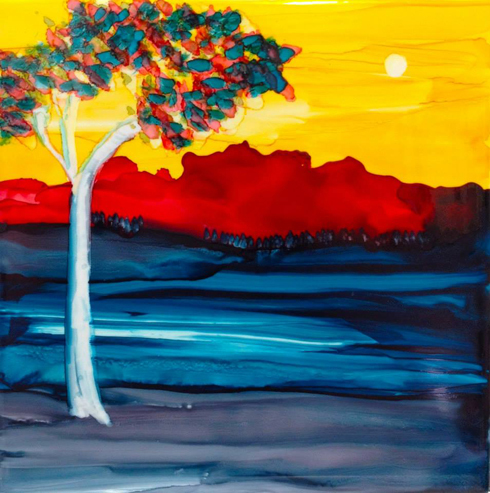 At Art 101, Mel says "We believe that the artist is not a different kind of person but every person is a different kind of artist" Workshops and tuition includes all material, paint and play tools, however options are available to bring 'your own' for a reduced price. Find this information on the tuition link here. For team-building workshops and other social groups with a minimum of 6 participants, (max of 10), tailored in studio events can be arranged. Larger corporate groups are catered for off site, speak to Mel to arrange these. Get inspired, consider selecting a workshop that you wouldn't normally do, have fun, amaze yourself and create a memory for life. View some photos from previous workshops here. Book with a friend or a group of friends for 10% discount. Doing your own self 'poptrait' sounds like a lot of un. Very impressed with your painting Julie! Well done indeed.